When hunting, target practicing, and sighting in a bow or gun, a rangefinder can make a world of a difference. These handy little instruments can help you shoot more accurately, but there are so many to choose from. Each differs by quality and affordability, but there are some that really stand out from the rest of the competition. 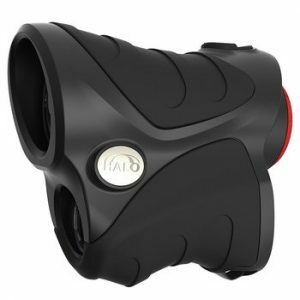 You will find the best rangefinder for hunting in this review. Once you are more knowledgeable on the differences in rangefinders, you will want to start comparing different options. I have looked at different rangefinders for bows and rifles at different price points to give you a place to begin your rangefinder hunt. The Nikon Monarch Gold is an awesome rifle rangefinder. It reads up to 1,200 yards, has 7x magnification, and is very compact. 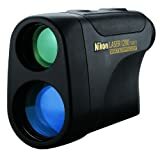 The biggest advantage of this rangefinder is that Nikon has developed a Tru-Target ranging system that allows you to choose between the distance of the closest object and the distance between the farthest target. This feature works well with their bullseye mode to prioritize the targets that might be smaller and more difficult to range. The readouts of this rangefinder are displayed on an LCD screen, but it also features an LED light that self-adjusts when the rangefinder is used in darker situations. 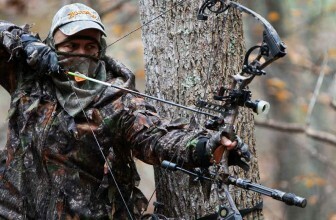 The preciseness of the readings are within 1 yard up to 1,200 yards, and it even works in severe hunting conditions. As with most things in life, the better quality is going to cost you more money. Though there are certainly other rangefinders that cost far more than this, the Nikon Monarch Gold is definitely on the more expensive end of the spectrum. If you don’t mind spending the extra money for a great rangefinder, then you will love the accuracy and size of the Nikon Monarch Gold Laser 1200. If you are looking for a bow rangefinder or for a more inexpensive option, then you should probably keep looking. Compact rangefinder with pinpoint precision and accuracy to 1200 yards (1-yard accuracy). Great choice for varmint and big game hunters who need accurate long- range measurements. Tru-target ranging system for flexible viewing with first target priority mode and distant target priority mode. Continuous ranging of moving or multiple targets, selectable back lighting feature in LCD display. Waterproof and fog proof, tripod adaptable. This Wildgame Innovations rangefinder is designed for bow use. As a result, it has a range up to 600 yards. 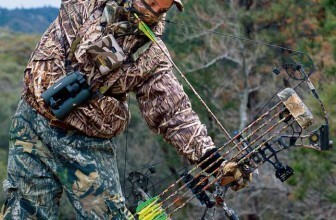 Since this is more of a budget option for bow hunters, you will find that is very simple. It doesn’t have any extra bells and whistles, but it gets the job done. Because it doesn’t have a ton of extra features, most people will find that it is nice and simple to use. Without extra features dragging it down, the battery on this particular rangefinder should last you longer than others. The biggest con that you will find most people complain about is that this simple model still relies on an LCD screen with black font. As a result, you will often have trouble reading the display if you’re in darker conditions, such as a shady spot in the woods or overcast weather. It also uses a manual zoom, which will make it much more difficult for you to get a reading on a moving target. If you aren’t fast enough, your target could very easily get away. This is a great option for anyone wanting an easy-to-use and affordable rangefinder for their bow. If you have more money to spend, you will probably prefer a higher-end option that has the extras, such as an LED display and automatic zoom. 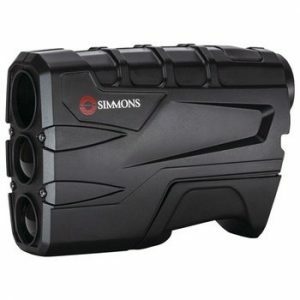 This model of a Simmons Rangefinder is the perfect choice for someone wanting a multi-purpose rangefinder at a low price. It reads up to 600 yards with a 4x magnification. 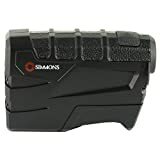 Anyone looking for a rangefinder that they can use for hunting with a gun or rifle or for golfing will love this budget-friendly option. Though this rangefinder is cheap and simple, it has one key feature that most budget options lack. The Simmons Rangefinder 4X20 has angle compensation, which helps bowhunters in treestands get a more accurate reading and shot. It also has an easy-to-read display due to the fact that it doesn’t have a lot of extra features. Though it has the angle compensation reading, it is missing several other features that more expensive rangefinders usually have. It also doesn’t have a very good range for someone who plans to use it more for rifle hunting. Lastly, most people find that this model tends to be a little bulky in comparison to other similar models. If you are looking for a rangefinder that can easily be used on the golf course and in the treestand, you should be pretty pleased with this affordable option. If you plan to do more long-range rifle hunting or have more money to spend, you may want to consider a different rangefinder. The Nikon Arrow is a great archery rangefinder that you will find on most archery rangefinder reviews – it has a range up to 600 yards. Since this is a higher-end archery rangefinder, you will be pleased with all of the slope information this model provides to make treestand bow hunting easier. Nikon also makes use of their impressive multi-coated lenses, which are unbelievably clear and make it easy to acquire targets. The model is also lightweight and small so it can easily be carried around. Lastly, you don’t need to worry about rain or fog making it difficult to use because it is waterproof and fog proof. Compared to other archery rangefinders, this model is going to be on the more expensive end with all of its extra features, though it is not quite a drastic price difference. Rifle hunters will also find that this model does not have the range they need for long-distance targets, and many people complain that the CR-2 batteries are difficult to find. If you are strictly planning on using this with a bow, you will find that this is the best archery rangefinder. If you need something with longer range for rifle hunting, you will want to choose a different rangefinder to meet your needs. 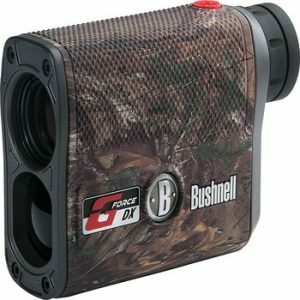 The Bushnell G-Force rangefinder is most commonly used for rifle hunting and has a 6x magnification. The Bushnell G-Force is boasted about in several hunting rangefinder reviews because it is accurate up to 1,300 yards. It also allows you to use target priority when doing a split reading. 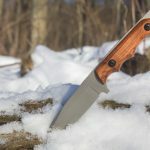 Unlike some cheaper models, the display on this model is adjustable in different lighting conditions, and it is covered in a rubberized grip, which makes it easier to hold onto in wet conditions. Though this option is more affordable when compared to other rangefinders with long range, it is still going to cost you a good bit of money. You will also find that this model has a lot of additional features, which can be very nice, but one of the features includes several modes you have to change from depending on your use. For example, it has a bow, rifle, and regular mode, which is great if you want a multi-purpose rangefinder, but you often have to make adjustments to these modes while you are out using it. If you are looking for a relatively more affordable rangefinder with an impressive range of rifles, you should go try out a Bushnell G-Force DX. If you don’t need that range or plan on using it for archery only, then you would be better off purchasing another rangefinder. By doing nothing more than pressing a button, you can increase the accuracy of your shots. Rangefinders let you know how far you are from your target by measuring the amount of time it takes for a laser beam to hit the target and bounce back to the rangefinder. A good rangefinder should be able to calculate the distance with a one-yard margin of error at the most. The results calculated by the rangefinder will show up on the display within a second of pressing the button. A really good rangefinder will take trajectory of bullets and arrow into consideration and provide data on ballistic compensation, so you can adjust your shot to reach a long distance target. Having an accurate reading of the distance of a target will allow you to make a better shot. Rangefinders are especially useful for bowhunters who are dealing with extreme angles when shooting from a tree stand. 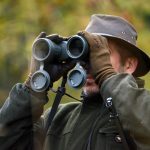 There are several different factors you will need to be knowledgeable of and consider when you go to purchase a rangefinder for hunting. 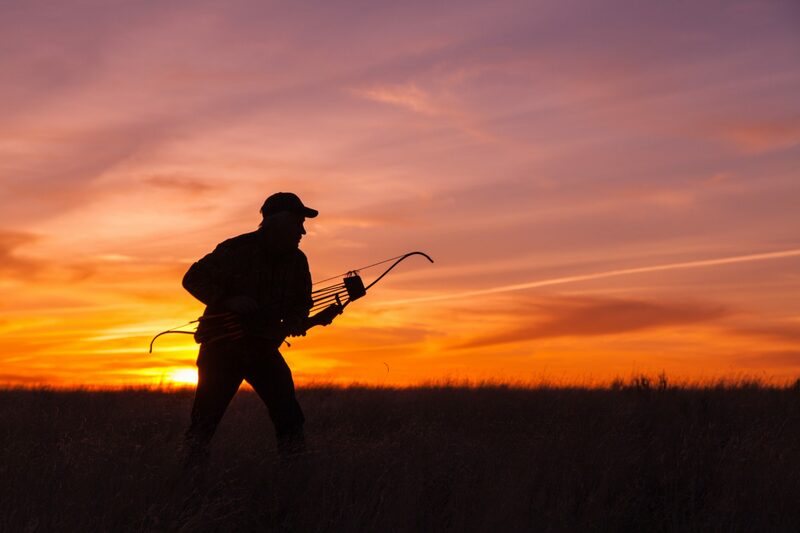 You will need to choose whether you will use it for a bow or rifle, how much magnification it has, the lens type, and how much you are willing to spend. Bow vs. Rifle Rangefinder:- While you might not think that there would be a big difference between a bow and rifle rangefinder, you would be better off to buy a rangefinder for your specific weapon. Most rangefinders designed for rifles will have a larger range than a model designed for bow hunting. You can find rifle rangefinders that will read up to or more than 1,200 yards, but most archery rangefinders will read up to 800 yards. Magnification:- You can find rangefinders with varying degrees of magnification, so it is up to you to decide how much magnification you will need. It’s important to note that higher magnification isn’t always better because there is a tradeoff. A higher magnification will reduce your field of view, so you will have a more difficult time finding your target through the rangefinder. However, a higher magnification also means that you will have a better look at the object when you do find it. Most people prefer to use a magnification between 4x and 8x. Lens Types:- There are four types of lenses you can find on a rangefinder. They vary based on the coating, which is used to reduce glare and increase the amount of light that is transmitted to your eye. Typically the better coats a lens has, the more money you’re going to spend, but as a result, you should get more brightness. Lenses also vary based on size with larger lenses usually offering more brightness. Though the larger lenses also add more weight and can be bulky, so they can be a bit unnecessary when you don’t plan on looking through it for several hours like you would binoculars. Cost:- Lastly, you will find that rangefinders can vary greatly by cost. Some rangefinders can be purchased for less than $100, while others can cost you nearly $800. Spending more money doesn’t always mean that the rangefinder will serve you better than a more inexpensive option. You will want to take all the other factors into consideration to see, which option is best for you. Because most rangefinders are pretty costly, you will want to make sure that you take your time when choosing the right one for you. Selecting the right rangefinder can greatly improve your accuracy, whereas the wrong one can cause you more trouble than it’s worth. https://tacxtactical.com team highly recommend that you visit a hunting/outdoor retailer where you will be able to test out the rangefinder before you purchase it. When you begin to try them out, you will notice the difference in brightness, clarity, and sharpness. You might even find that some offer extra features, such as the ballistics compensation measurements, that will be useful to you. To better prepare yourself for trying out different rangefinders, I encourage you to learn more about how to choose the right one for you. Bass Pro Shops has an excellent article about the basics of rangefinders, and I believe it will help you through the purchasing process. My personal favorite of these rangefinders would have to be the Bushnell G-Force because it has great range and great features. Since I am more interested in using the rangefinder for rifle hunting, I prefer the Bushnell G-Force over the Nikon Arrow, Simmons Rangefinder 4X20, and the Wildgame Innovations Halo X-Ray for the simple fact that the Bushnell range is over twice as long. I also prefer the Bushnell G-Force over the Nikon Monarch Gold Laser 1200 because, though they are very similar, the Bushnell is cheaper with slightly longer range. The Bushnell G-Force can be used for both bow and rifle, so you don’t have to buy more than one rangefinder. You will be able to get all the necessary readings from the rangefinder that has a good magnification and a decent price. 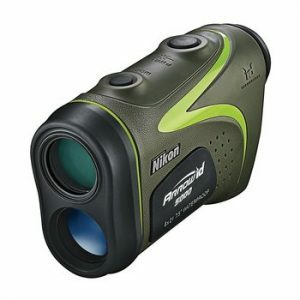 You will have a hard time finding a rangefinder that does all that the Bushnell does for less money.